Holy crap I loved this movie. 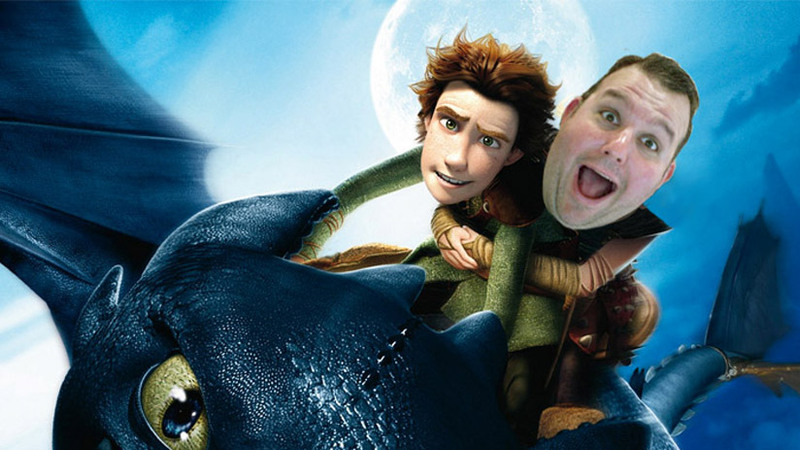 Today’s FNE Movie Month movie is How To Train Your Dragon from 2010. The first animated movie of the month and probably my overall favorite film so far. I love that I can be moved by a movie of animated characters just as much as I can with a movie with live action actors. It’s all about writing and characters. Characters and writing. And this movie has it both. Why the hell does it take me so long to watch these movies? I have a few in the queue that are from the past year, but there is no reason why this movie should’ve taken 4 years to get in front of my eyeballs. But that’s what happens when you watch so many different TV shows, you just don’t sit down and watch movies at home that much. Thankfully I decided to change that this month. Not much more I can say about this movie except I loved everything about it, from the voice work to the story, to the amazing animation. I was watching it on an iPad on a train to Boston. I finished it during lunch - in my office - with four other people around me - and I was trying not to tear up at some parts. You know you’re invested in a movie experience when you’re tearing up one second and getting that chill up your back the next. Now I want to go read the children’s book series this movie was based on! Not sure if another movie is going to top the enjoyment I had with this movie. There may be films out there that are considered “better” but that doesn’t mean they’ll reach the mountaintop. We’ll see over the next 3 weeks…. 9 down. 21 to go!